Zlata Khershberg was born in Russia and resides in Israel. She graduated from the Balakirev Music College in Nizhny Novgorod, Russia and the Buchman-Mehta School of Music at the Tel Aviv University. 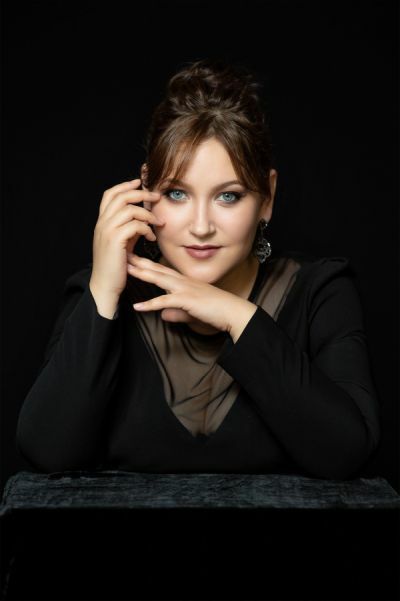 Her operatic repertoire includes Olga in Yevgeni Onegin (Tchaikovsky), Marcellina in Le nozze di Figaro (Mozart), Orlovsky in Die Fledermaus (J. Strauss), the Sorceress in Dido and Aeneas (Purcell) and other roles. Her concert repertoire includes Beethoven’s ninth symphony, the Alto Rhapsody by Brahms, El Amor Brujo (De Falla), Le Noces (Stravinsky) and other roles. She has performed in various concerts in Israel. Zlata Khershberg was a member of the Israeli Opera’s Meitar Opera Studio where her repertoire included the Third Lady in Die Zauberflote, Marcellina in Le nozze di Figaro (Mozart) and the Mother in Hansel und Gretel (Humperdinck).